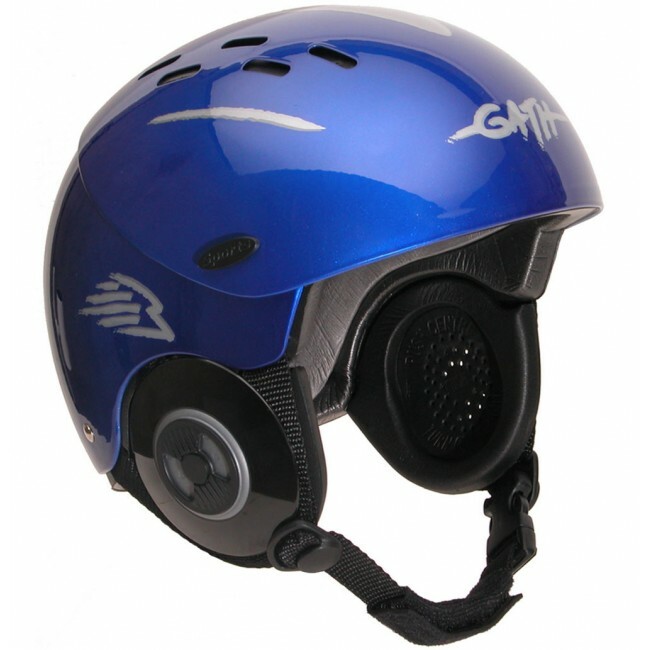 Made ready for high intensity water activities, the Gath Gedi Convertible Helmet has the protection and durability you need in a water helmet. Built from impact-resistant, quality ABS plastic, this multi-functional head protection has the ability to be used with or without a visor as well as with or without ear protectors making it one of the most versatile water helmets available. Having met all of the requirements for field of vision, extent of coverage, shock absorbing capacity, retention system performance, buoyancy and durability, the Gedi is trusted by the Coast Guard, Water Police, Sea Rescue and more. 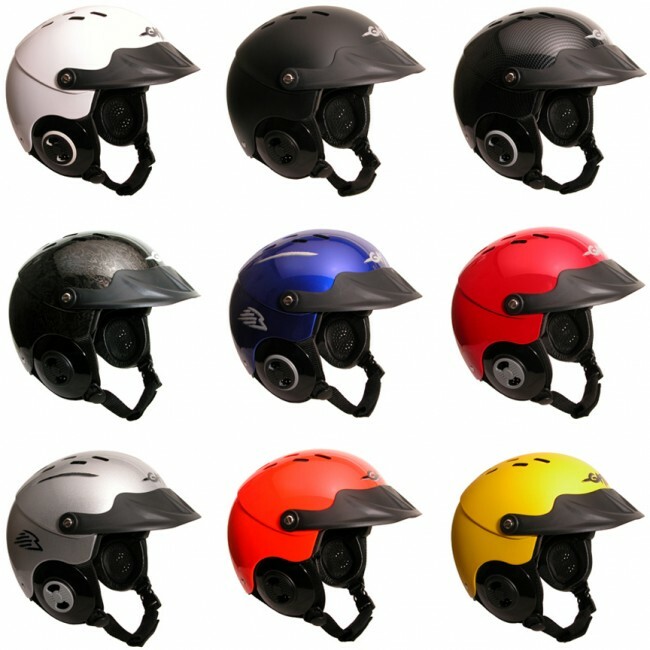 The Gedi Helmet was developed to be completely convertible, to be light weight and low profile, and to provide maximum coverage that will STAY PUT. Made using non-stretch, standards-approved webbing and standards-approved quick-release buckles for a secure retention and fitted with a neoprene anti-rash sleeve for added comfort. 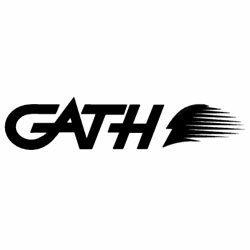 All Gath helmet custom-built screws and rivets are made from strong non-corrosive, saltwater-resistant materials making these helmets low maintenance and easy-to-clean. Offering adaptability and safety, the Gedi Convertible is a premium choice for any rescue personnel or water sports fanatic wanting to avoid the risk of injury. *Please note that neither the included peak visor, nor any optional visor, should be worn for skydiving, as the visors were not designed for the extreme speeds involved in skydiving. **Orange size XXL is always a special order item. Impact Resistant Construction - Made strong, durable, and rust proof, the UV-stable, quality ABS plastic will withstand harsh climate conditions and temperature extremes. Multi-impact EVA closed cell foam liner with closed-cell EVA foam comfort strips. 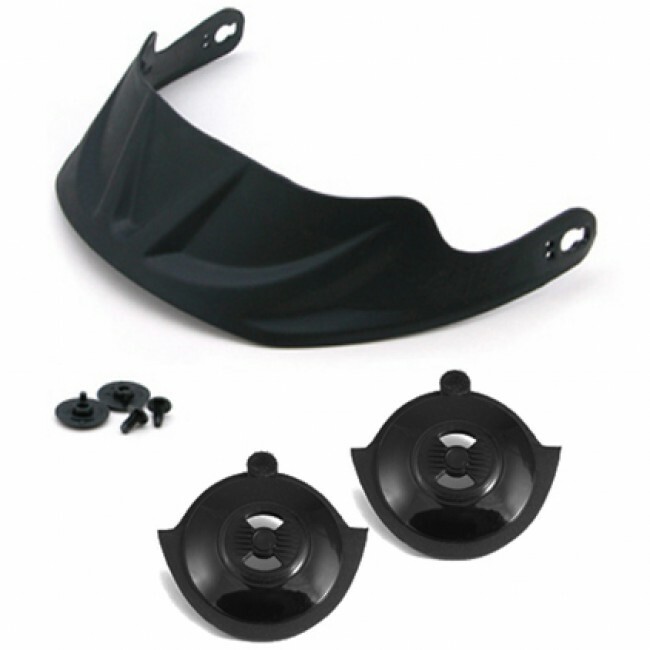 Peak Visor - UV-stable, shatterproof, flexible, quality nylon plastic visor offers sun and impact protection when in use or can be easily removed. Comfortable Fit System - The comfort strip fitting system is very versatile. Be creative with different padding combinations and configurations to customize the fit to your head shape. Some customers even lift the internal liner flaps and put segments of comfort strips underneath, using the self-adhesive back to stick them to the shell. Lightweight Protection- The Gedi weighs 360-420 grams, depending on size and accessories being used. Just got the Surf Convertible model tonight and side by side see it is much smaller exterior for the same size interior (padding is thinner). No hard plastic over where I got my stitches, but I have to switch to the slimmer model because of that danger in punching through the surface with a bigger effective head while wearing a helmet. Quality of both models is impressive. 40 stitches on my forehead 8 weeks ago, hitting the bottom despite my arm wrapped around my head (most impact was on my shoulder then). Super loved surfing with this the first time today, a 2.4 hour sunset session! My first wearing a helmet surfing. The XL SFC was bit too small for my skull, and XL Gedi I needed to use the thicker comfort strip - Cleanline size chart is better than Gath’s. Love how well the visor works on the Gedi! I surfed alone the last hour before dark, and it seemed great to have a helmet after what I’ve read about surfing injury stats, (I’ve an 85V shark deterrent from AU too). While 100g heavier than the SFC, the Gedi seemed plenty light, and it’s visor worked way better. I used the extra comfort strip to plug the vent holes, cuz it was brrr cold at Trestles today. Love the helmet. I have a very large head and was able to configure the XXXL to fit nicely. I've used the helmet several times in conditions and happily report it doesn't scoop water or otherwise bucket. And the visor slides back in a big wave, which makes rolling a kayak easier. My only gripe is that the ear pieces attach only with a small piece of velcro between the shell and the inner lining. This probably wouldn't be enough to keep them in place even with the ear straps over them for what I do. Also, one of the pieces of velcro fell off an ear piece before I'd even used it....ach. A little thing, but telling. On the whole, the helmet is otherwise well made, easy to adjust and stylin'. And Cleanline was a breeze to deal with. 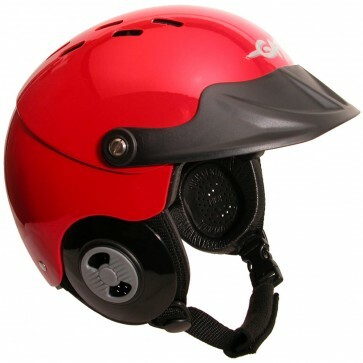 Gath Gedi Convertible Helmet Totally worth itReview by T.M. T.M. Quality helmet with good fit. Tried half a dozen cheaper helmets before finally ordering the 3XL Gath. Fits perfectly and the carbon color looks nice. Visor and sun shade are great for kiteboarding. Almost great, fits well, stays in place, the visor is nice but you can also move it up so its out of your field of vision which helps while paddling out on a surfboard. My only complaint is that the ear covers don't connect well with the helmet, seems flimsy, they're always migrating loose, and I have a feeling I'm going to lose one of them some day. Would be 5 stars if the ear covers clicked in place better. This helmet is great! 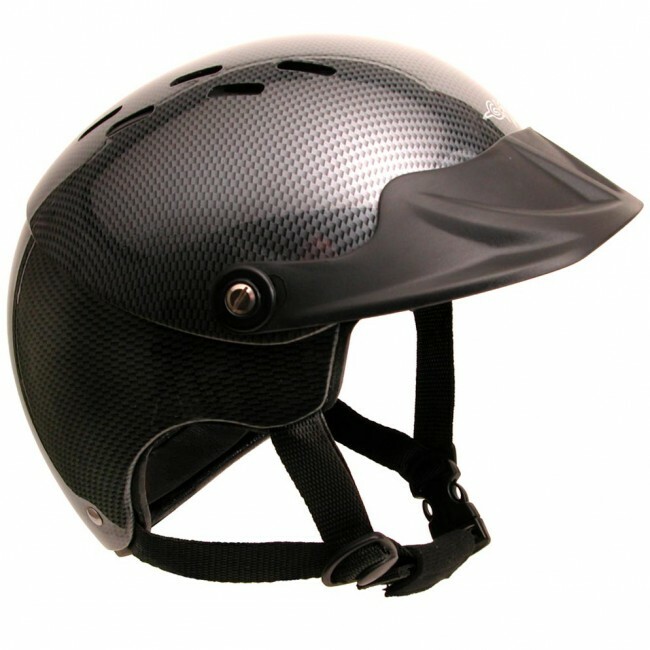 It fits well---no headache after use--- and covers most of my head so I feel comfortable and protected in this helmet. The awesome customer support and fast shipping was a bonus, too! Have been wearing this helmet, gopro attached and not, for a month now in the shorebreak at Windansea in San Diego. The weight is just right and offers sun protection as well as brain. Cleanline worked with me until my misshapen head could be fit. While I feel somewhat like an egg over easy in whitewater (matt yellow) I feel my yolk is secure, ha. After taking the usual number of kiteboarding crashes (and having worn helmets for skiing, snowboarding and biking) I decided to get a watersport brain bucket. However, with the exception of the Gath, other products fit, well, like a bucket. I was able to try a friend's Gath and determined that the Large was the right size. Granted the Gath is pricey, but for the comfortable fit and protection, I believe it's a value. The visor is a nice touch as it does provide some protection from the sun. For a proper helmet fit check out the Gath Gedi Helmet Size Chart available below or check out the Gedi Helmet Fitting and Sizing video under the product video tab. If you've never worn a water helmet before or are uncertain about your sizing, don't be afraid to give us a ring and the staff at Cleanline Surf will be standing by ready to assist you in finding the perfect fit.